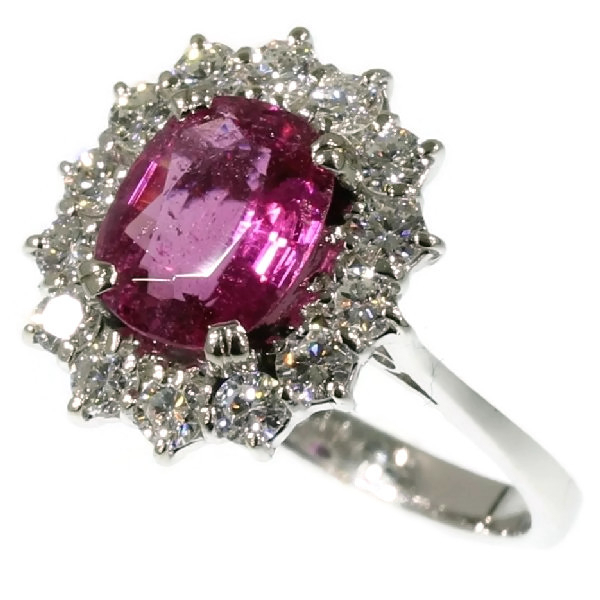 White gold estate diamond engagement ring with attractive pink tourmaline: Description by Adin Antique Jewelry. Diamonds: 14 modern brilliant cut diamonds with a total estimated weight of approx. 1.00 crt. Total diamond weight: approx. 1.00 crt. Birthstones: Diamond is the birthstone (or month stone) for April and tourmaline for October.